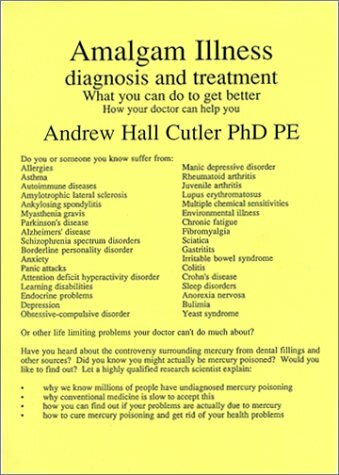 Order Dr Andy Cutler’s book Amalgam Illness: Diagnosis and Treatment. Ensure your mercury amalgams have been safely removed. You cannot take any chelating substance while you still have mercury amalgams in your mouth, or have exposure to any other source of mercury. Never perform IV chelation or challenge tests. Do not use chlorella or cilantro/coriander for chelation purposes.